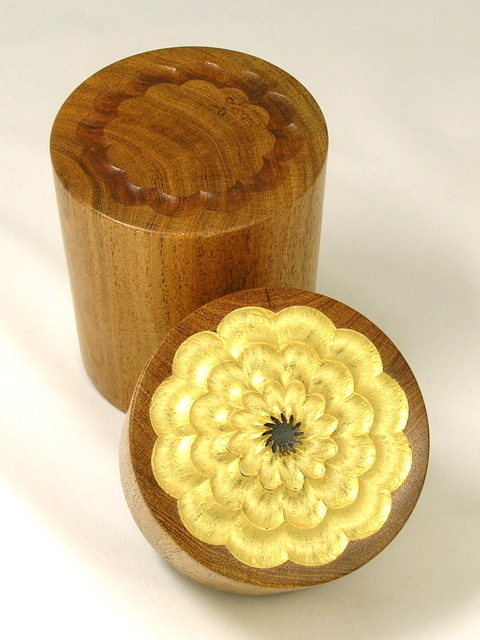 Mesquite Box with Rose Engine flower - TT195 [TT195] : No Skew Turns, Gifts handcrafted from the world's beautiful woods. 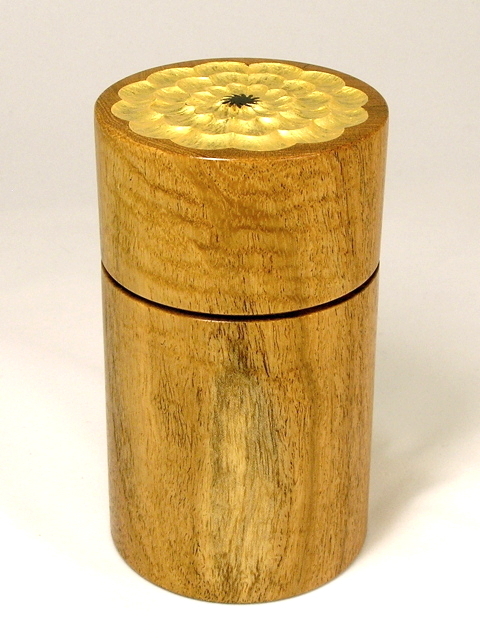 Gold on gold best describes this tall Honey Mesquite (Prosopis glandulosa) box. The flower on the lid was created using the Rose Engine, then "gilded" with gold acrylic paint applied to suggest the texture of petals. A single row of petals appears sans acrylic on the box bottom. The wood itself is a dark golden honey color, with fine brownish-black streaks, and a single slender strip of sapwood. The sides of the box are straight, the inside bottom and top are flat, and the lid is a slip fit.